يقع منتجع أوكتوبوس في Waya Island, جزر ياساوا, هو خيار شائع بين المسافرين. لا يبعد الفندق كثيراً عن مركز المدينة، فهو يقع على بعد 25. Miles منها. في حين يستغرق الطريق منها إلى المطار حوالي 60 دقيقة. يوفر الفندق بفضل موقعة الجيد وصولاً سهلاً إلى أهم معالم المدينة.
. إن الخدمات الممتازة وحسن الضيافة العالي في منتجع أوكتوبوس تجعل إقامتك تجربة لا تنسى. هذه بعض الخدمات الموجودة في هذا الفندق: واي فاي مجاني في جميع الغرف, تخزين الأمتعة, واي فاي في المناطق العامة, خدمة الغرف, التوصيل من وإلى المطار. تتضمن كل غرف النزلاء وسائل الراحة والتسلية المصممة خصيصاً لضمان الراحة القصوى للضيوف. إن مسارات المشي, تأجير معدات الرياضات المائية, غرفة يوغا, الغوص السطحي, شاطئ خاص هو المكان الأمثل في الفندق للاسترخاء وتفريغ طاقتك بعد نهار طويل. إن منتجع أوكتوبوس هو مكان مثالي للمسافرين الذين يتطلعون إلى الراحة والاستجمام في جزر ياساوا. يُرجى العلم بأن الوجبات إلزامية، وتُضاف إلى أسعار الغرف. ويتم الدفع مباشرة في الفندق. للوصول إلى العقار، يجب الترتيب لحجز نقل إجباري بالقارب أو الطائرة البحرية. يُرجى الاتصال بالعقار لمعرفة المزيد من التفاصيل. تُطبق خطة الوجبات اليومية على كل حجز. يُحتسب رسم بقيمة 119 دولارًا فيجيًا على البالغين ورسم بقيمة 89 دولارًا فيجيًا للأطفال. ستُحصّل الرسوم الإضافية المذكورة في العقار. It was awesome to stay at the Octopus Resort for three nights! Must taste the lobster meal! The resort has a variety of different activities every day! Thanks to all the staff at the resort for letting me have a perfect birthday in Fiji! Beautiful resort with incredible food! We even got an upgrade on arrival as the resort was quiet. Our room was stunning and very clean. The resort is kept really well but the pool could be cleaner. The reef out the front of the resort is nice. All the staff are very welcoming and friendly. Quiz night was really good fun. Mere, who looked after our villa was superb! She’s a real credit to the resort and makes the trip that extra bit special, thanks again. We really enjoyed our stay at Octopus. The resort is so lovely, especially the shaded deck chairs on the beach. The sea was pretty rough while we were there which made snorkelling a bit of a mission, but there are better islands for snorkelling and we were happy to relax. The food was absolutely outstanding. Compared to meals we had included in our meal packages on other islands, it was to an incredible standard. The lunch menu was varied with plenty of options for different dietary requirements including vegan (nowhere else had this!!) and dinner was a real event both nights we stayed there. We were especially blown away by the a la carte dinner but also really enjoyed the curry night. We also really enjoyed drinks at the beach side bar at sunset. Stunning. We came here after staying in Naqalia resort. It is very different as Naqalia is more personal, but Octopus has certainly more facilities and more choice of (great!) food. For us it was pretty expensive, but we enjoyed the stay a lot. Great for relaxing by the pool and at the beach. Best part of the resort were the local village people (staff). We also had fun with the quiz night and the crab race. Could have explained the whole crab race though before people started choosing crabs (that there are three rounds). One thing we also didn‘t like a lot was that they added 5$ for staff fund and 5$ for fundraising to our bill. It‘s not very much money, but I do like to be asked or, if mandatory, told about it when booking. There was some wifi but it worked really bad. Our local Vodafone SIM cards worked a lot better than the wifi. I spent 3 nights in the dormitory. The room was perfectly clean all day long and the bed really comfortable. Some wheels below the locker would help to make less noise. Very good food, quite varied if you stay a few days, and great staff. Plenty of activities, free or at a charge. The snorkeling is great, simply follow the boat line and the reef. Average Wifi, not a big issue on holidays: simply plan your next step ahead if needed. Food (lunch and dinner choice) was exceptional considering the location. Better muesli would be my only recommendation for breakfast choices - (too sweet). Beach, bar and pool facilities great. Loved being able to feel the sand on my feet at lunch and dinner! Accommodation was comfortable, a bit simple, but we didn’t need to spend much time in the room preferring to chill on the deck chairs along the beach or the day beds around the pool. Or doing many of the ample activities available each day. Single beds could do with a revamp. Mosquito nets need to be netting on top too so the ceiling fan can penetrate through better. The staff are very friendly and chilled. They are employed from the local village and welcome you to come and see their way of life. I think the resort could invest more of their profits back into the villiage community facilities and staff wages. It is difficult to see that the local community are benefitting enough from the arrangement of sharing their island?? This resort was amazing! The food package was excellent value for money the dinner was three courses and you couldn’t fault it! The staff were like family it was so hard to leave that we stayed another night! The general managers Noel and Jana were so helpful and accommodating from the start right till we got on the boat to leave! They went above and beyond and so did all the staff! The village was so welcoming and it was really hard to say goodbye! The snorkeling was the bluest water I have ever seen 100s of fish right at the doorstep! Beautiful white beaches! The resort offers heaps of free activities all day village visits, fish feeding, crab racing, movie nights under the stairs with free popcorn and ice cream! If you want a resort that caters to your every need, offers fun acitivites, clean and beautiful rooms, staff that feel like family and food to die for with an amazing beach on your door step then this is the place for you!!!!!!!! Thank you so much Octpous! What a pleasant group of staff! Although we experienced a bad fire in one bure and the smoke detector did not operate, we still had a wonderful time and the staff was right on hand to move our two affected guests to a premium unit, launder all their smoky clothes (an all-night effort). Food was excellent with lots of choices, the bar was great and activities excellent. Something special about this place. We stayed in the second best rooms i think, nice enough but they were definitely not luxurious. But the staff and the laid back positive vibe of the place, coupled with the amazing location and great food and great staff (and locals in general) gave this place an amazing atomosphere. superb. My stay was great- i spent 3 nights in the dorm which is daily cleaned and air conditioned. Shower with hot water; food is nice. Highly recommend to go snorkeling on the house reef and do the mountain peak hike.. check days first since they only offer 2 days per week. Great Stay- will definitely come back! To start our stay, we had to hike over the hill and through a pig farm/crap to get to the resort. 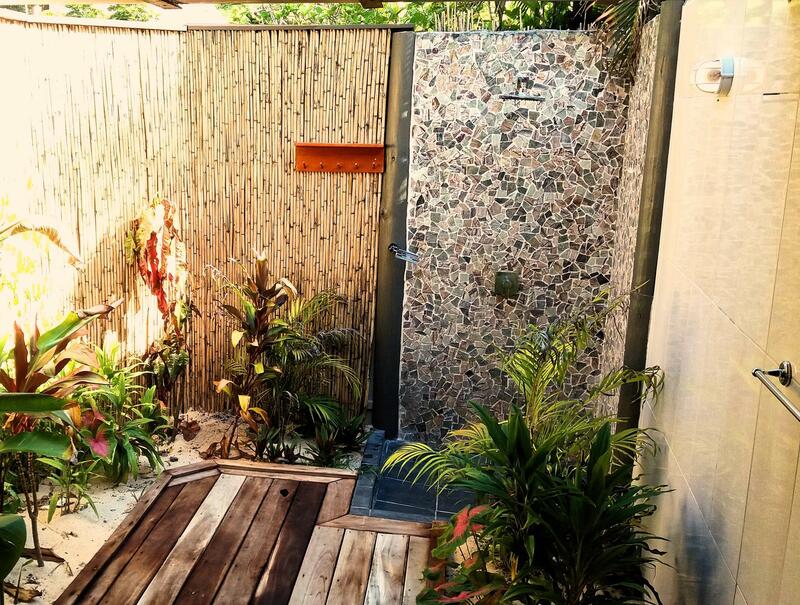 Bungalow option consisted of a fan and shared toliet/bathroom facilities which we weren't expecting... Breakfast was very basic and no where close to same quality as sister resort Paradise Cove we came from... Overall, would suggest staying at Paradise Cove instead which is the next island over.... EVERYTHING was better there. Fijians are Papuans disguised as European service. 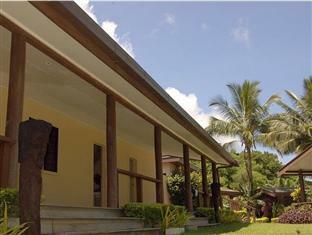 Today the hotel Warwick Fiji is a good three-star hotel, in my opinion. But they position themselves as a luxury hotel with three towels in the rooms. The number of towels corresponds to the hotel's star rating according to hotel standards. The staff is smiling, talkative, affable. Disadvantages: High cost of rooms. No slippers. Sand on the shore with stones. Expensive hotel with terrible sand, which pricks the heels of the feet. Airport transfer is not included in the room rate, very expensive - 147 FJD one way. For comparison, rent a car Toyota Prius costs 80 FJD per day in the main island. No adapter to charge guests' phones and laptops. In Fiji 240 volts in the outlets. The hotel earns on slippers and adapters, you can bought it in the hotel’s shop. No Russian-speaking staff. We were lucky that with us was our acquaintance with good spoken English. Incredible staff but I expected there to be air con for the price we paid, which was disappointing. Of all the resorts we stayed at (in Fiji and elsewhere), Octopus has been our favorite! The staff were so friendly and made every bit of the experience pleasant. It felt like a home away from home. From the warm welcome off the boat to the 5-star dining, beautiful beach, clean accommodations, and a collective atmosphere, we enjoyed every moment and are already talking about a return trip. The only reason that I gave it a 4/5 for location is that the reef surrounding the resort isn't as colorful and filled with marine life as nearby Mantaray Island Resort, but it is still great to snorkel, and conservation efforts seem to be underway. We had the most wonderful experience here at Octopus. The island was the most beautiful island I have ever been to... The reef was very healthy and great for snorkeling... We saw so many fish, even some puffers! And a turtle!!!! The food was absolutely incredible and far surpassed any expectations... And the staff were so welcoming and kind. We loved Moses, the guide to our hike. And so many more people, I just can't remember their names now! We felt like we were immersed in Fijian culture, which is important. Soooo happy we stayed here. service is just excellent, food is one the best in the yasawas including a real menu every time and not just a buffet, the chef is excellent. good snorkelling in front of the resort, saw one turtle. 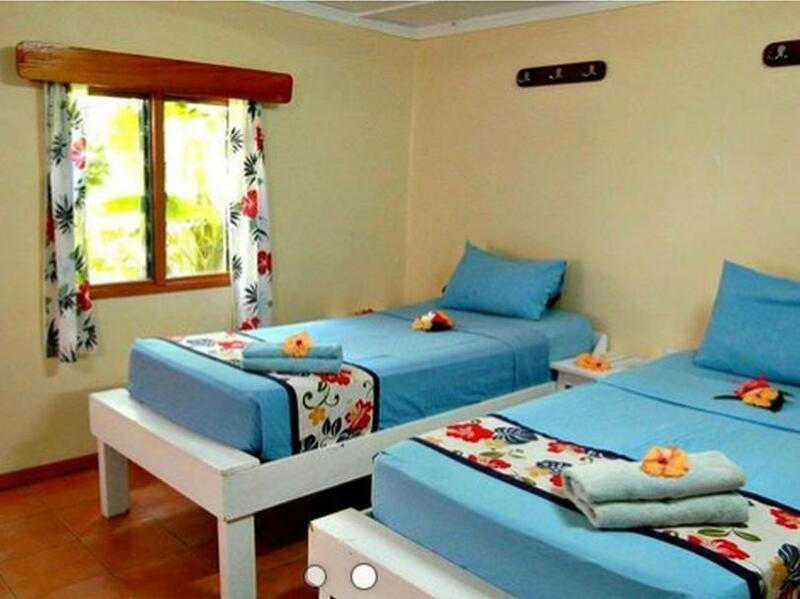 private bungalow with use of shared bathroom was very clean and good enough. mosquito net above the bed was nice. best resort we stayed in the yasawas. more family oriented. 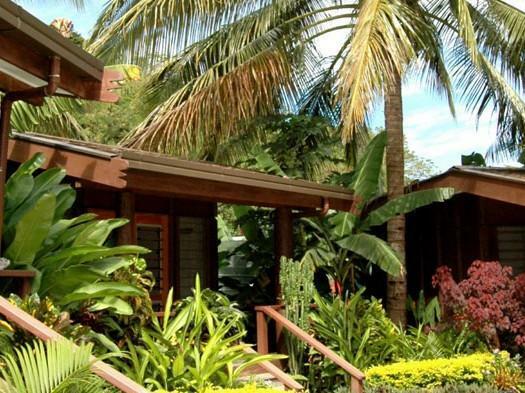 Beautiful island, lovely resort, perfect for family's and travellers who want to relax! Good accommodation. Good activities every day. It is expensive for someone travelling but Fiji is worth it. 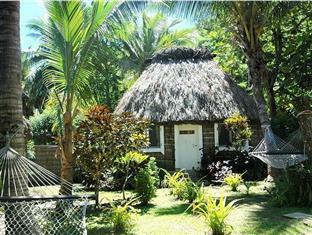 I heard from other backpackers this was one of the nicest in the Yasawa's. Staff were amazing!